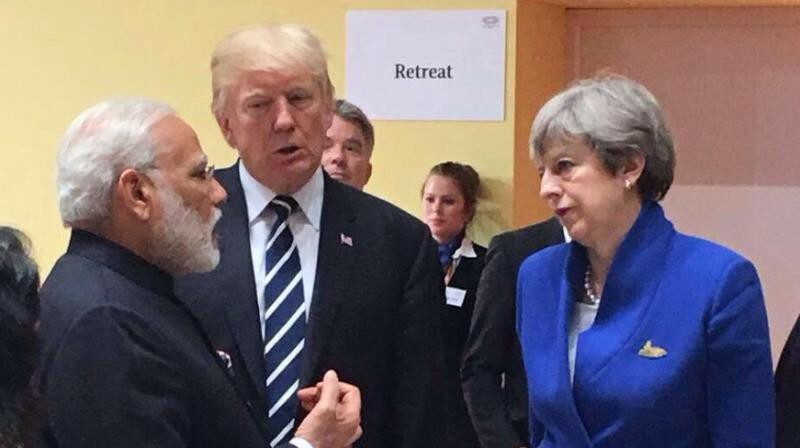 With the help of his new third best friend American President Donald Trump (Shinzo Abe of Japan and Benjamin Netanyahu of Israel being the first two), Modi ensured that Pakistan was put on the “Grey List” of the Financial Action Task Force (FATF). 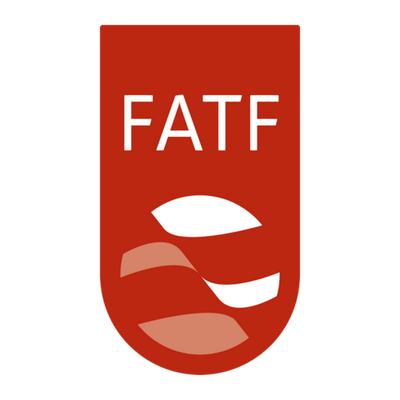 The FATF is an inter-governmental body established in 1989 to combat money laundering, terrorist financing and other related threats to the integrity of the international financial system. The grey-listing, which is expected to be operational for one year, will squeeze Pakistan’s economy and make it harder for the country to meet its mounting foreign financing needs, including potential future borrowings from the International Monetary Fund (IMF). The decision of Pakistan’s grey-listing was taken during the plenary meeting of FATF held at Paris from June 24 to 29, 2018 and Islamabad was making all out efforts to avoid further downgrading, which will have far reaching repercussions for the economy of Pakistan. In a bid to foil this move, Pakistan’s newly appointed Federal Minister for Finance Dr Shamshad Akhtar directed all authorities concerned to fill required existing gaps on administrative and legal fronts before attending this scheduled meeting. A high-powered Pakistani delegation (led by Akhtar herself) participated in the plenary session of FATF in which the decision of putting Pakistan into the grey list was finalised. Pakistan briefed the Task Force about its action through the Finance Bill 2018, with approval of the Parliament. for taxing foreign jurisdictions and helping the country to curb money laundering under mutual assistance agreement with OECD and other bilateral countries. They outlined a 26-point action plan to curb/stop terror activities originating from its soil, but the 37 member nations of the Task Force were not convinced. The purpose of the FATF plenary was to ensure the adoption, implementation and enforcement of internationally accepted anti-money laundering and counter-terrorist financing standards as set out in the FATF Forty Recommendations and FATF Eight Special Recommendations. The effort includes assisting countries and territories of the region in enacting laws to deal with the proceeds of crime, mutual legal assistance, confiscation, forfeiture and extradition; providing guidance in setting up systems for reporting and investigating suspicious transactions and helping in the establishment of financial intelligence units. The FATF grey-listing could lead to a downgrade in Pakistan’s debt ratings, making it more difficult to tap into the international bond markets. Pakistan was on the FATF grey-list from 2012 to 2015. The motion to put Pakistan on the grey list was jointly moved by USA and three key powers of Europe: UK, France and Germany. Pakistan had earlier been pulled up by members of EU Parliament for its failure to control terrorism emanating from its soil. The Feb 18–23, 2018, plenary in Paris witnessed hectic negotiations from day one till the final day as India, supported by our partners from around the world, put forward strong arguments against Pakistan’s lacklustre efforts to control financing of terror groups. 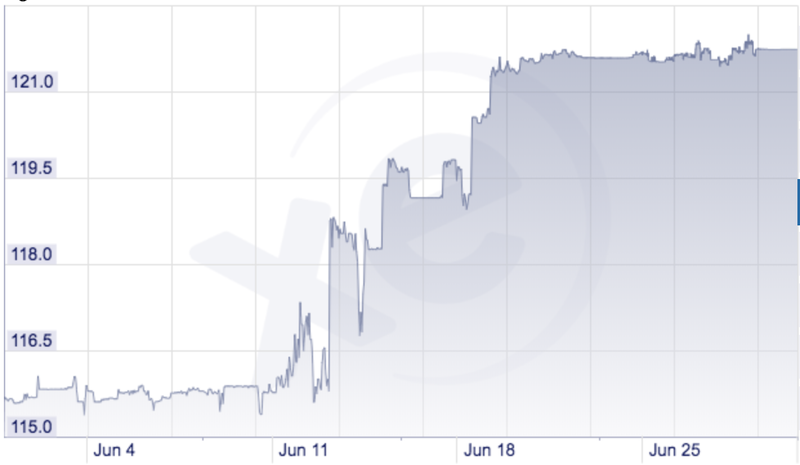 Just see how the Pakistani Rupee has fallen more than 12.2% viz-a-viz the US$ in the last one year and especially in the last seven months, when it started becoming clear to major traders of currencies in the world (who keep a watch over all important developments globally) that Pakistan would be placed on FATF’s grey-list. FATF’s decision is just one of many recent events that should concern Pakistan. Since coming to power, the Trump administration has made a concerted effort to coerce Pakistan into ending its support of non-state armed groups such as the Haqqani Network. 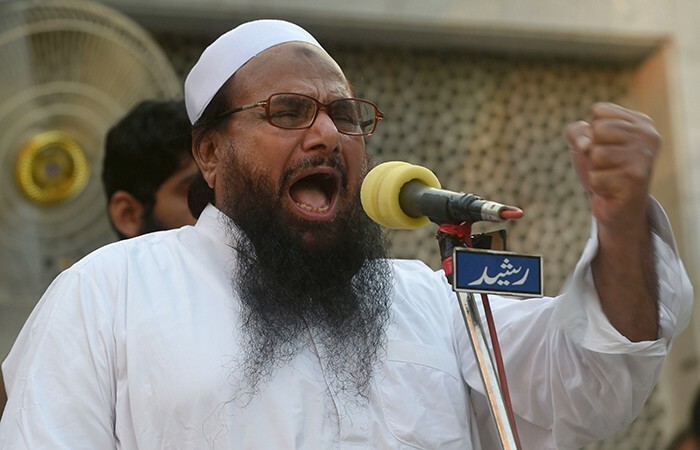 Initially, Pakistan reacted indifferently to this and released Hafiz Saeed, leader of the Lashkar-e-Taiba (LeT) from house arrest in November, 2017. President Trump responded via Twitter and said that Pakistan has given USA “nothing but lies & deceit.” USA then started squeezing Pakistan’s finances by suspending assistance of over $1 billion, which included military assistance and the release of Coalition Support Funds, money which USA supposedly owes to Pakistan for military operations. President Mamnoon Hussain issued an ordinance to amend Pakistan’s 1997 Anti-Terrorism Act and banned Hafiz Saeed’s Jamaat-ud-Dawa (JuD) and Falah-i-Insaniat Foundation (FIF). The Pak government followed up by taking over both organizations’ assets, which includes thousands of staff and volunteers and dozens of schools and clinics. It took Pakistan almost 10 years to this, after JuD had been declared a terrorist group by the United Nations Security Council in 2008. Pakistan also mounted an eleventh-hour attempt to bolster support from its traditional allies, including Saudi Arabia, China, and Turkey. To garner Saudi support, Pakistan agreed to send 1,000 more troops to Saudi Arabia, something it had refused to do in 2015. All this proved to be too little too late, as only Turkey supported Pakistan at the FATF. The strategy to mainstream the LeT has not been abandoned, as Hafiz Saeed’s political party Milli Muslim League was launched last year. US officials have said that they have not seen any visible action by the Pakistanis against the Haqqani Network and its facilitators. Pakistan’s Army and ISI (who yield more power than the government), are quite used to taking massive risks and not suffering any consequences thereof, because of protection offered by one or more international supporters, including USA till recently. What is different this time around is that China and Saudi Arabia, who historically supported Pakistan, signalled that they will not stand by Pak anymore. 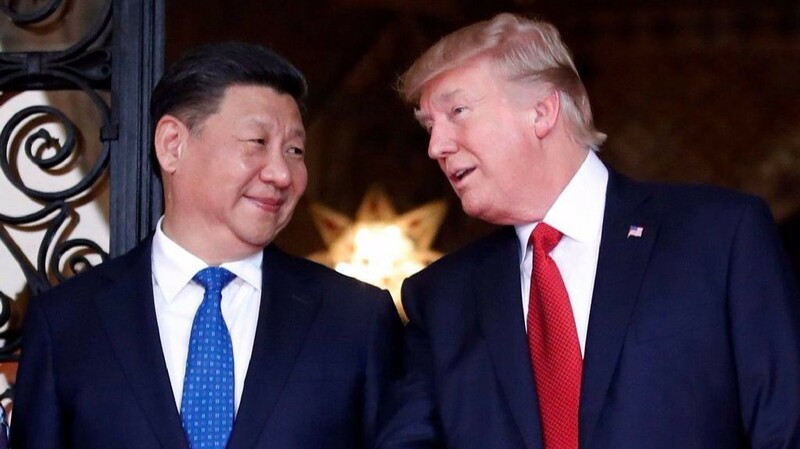 Trump personally telephoned Xi Jinping to ask China not to support Pakistan at the FATF. If Islamabad fails to comply with FATF’s grey list rules and an action plan is not adopted, Pak runs the risk of being included on the FATF blacklist that currently has only Iran and North Korea. Pakistan also runs the risk also of being blacklisted by the EU. Such a decision by its top trading partner could severely hit its industry, especially the textile sector, as well as the banking channels with Europe. The costs of transferring foreign currencies to and from Pakistan will increase, as international banks will have to scrutinise the movement of money closely. As Pakistan’s foreign trade and remittances are dollar denominated, they have to pass through New York based clearance houses. Since the action against Pakistan has been taken on the behest of USA, Germany, France and UK, the banks have already started showing cautiousness in clearing and moving money to and from Pakistan. This has slowed down the movement of even legitimate transactions. Foreign banks operating outside Pakistan have not only stopped opening accounts of Pakistanis but are also shunning their business away. In the 1980s, Pakistan had introduced Foreign Exchange Bearer Certificates. In the 1990s, the Nawaz Sharif government allowed Pakistani citizens to open forex accounts with no questions asked about the source of remittance. Whatever forex was converted to Pak Rupee through banking channels was considered as “white money”. Even today, one third of Pakistan’s foreign exchange reserves are the foreign currency deposits with the banks. After the grey-listing announcement by FATF, even Pakistani banks have become more cautious in opening foreign currency accounts of local citizens. To meet the FATF guidelines, the government will have to take away the “no questions asked” facility about the source of remittance. The country is in dire need to raise funds from abroad in view of the unprecedented current account deficit. The costs of this borrowing has risen substantially due to the Paris setback. In fact, most erstwhile lenders don’t want to touch Pakistan any more. Pakistan has less than 2,80,000 metric tonnes of fuel stock, which is barely sufficient for four days use/consumption. It does not have any money to import more fuel, as it already owes $5.65 Billion (about ₹380 billion) to its old lenders. With USA, India, Germany, France and UK pushing hard (along with UAE and Saudi Arabia tacitly supporting us), no one will lend them the money to buy more fuel.